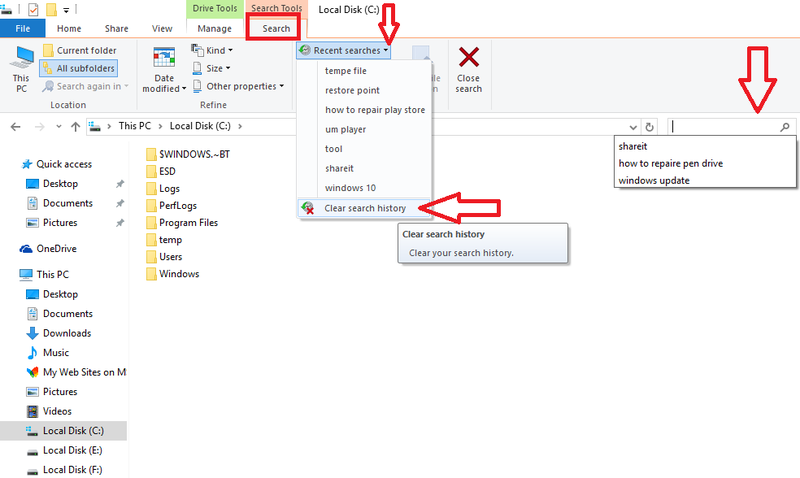 As you type in search box windows explorer create search history for suggestions, yah this is good for quick and easy search but sometime we want to clear search history, so the topic is how to clear search history from windows explorer in windows 10 and 8.1, believe me its very easy don’t need to do any hard work, just follow these easy steps. 2. Under Search you will find “Recent Searches” just extend that and click on “Clear Search History” that’s it; all search history will be removed.